Info:Terrazzo floor repaired, honed, polished, and sealed. 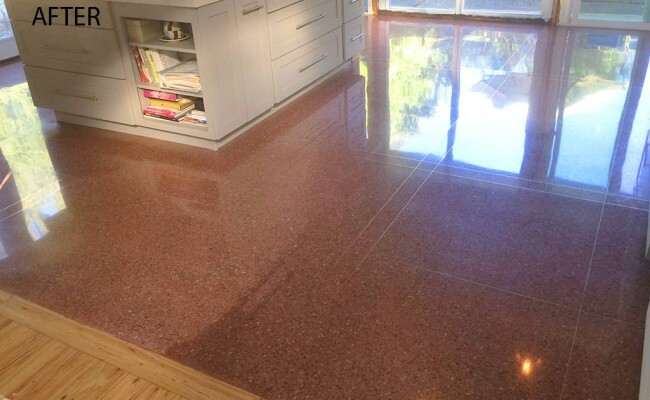 This red terrazzo floor had turned an ugly grayish-pink color after twenty years without professional attention. Many of the brass seams were separating due to cracks in the terrazzo. The first thing we did after masking and protecting the walls and surrounding areas was to dry scrub and vacuum out all the brass seams. We filled all the seam cracks with tinted epoxy, as you can see (the red lines) in the BEFORE image. After a thorough cleaning and polishing, we sealed the floor to inhibit staining. Notice in the AFTER image how all the brass strips came out looking shiny and new. 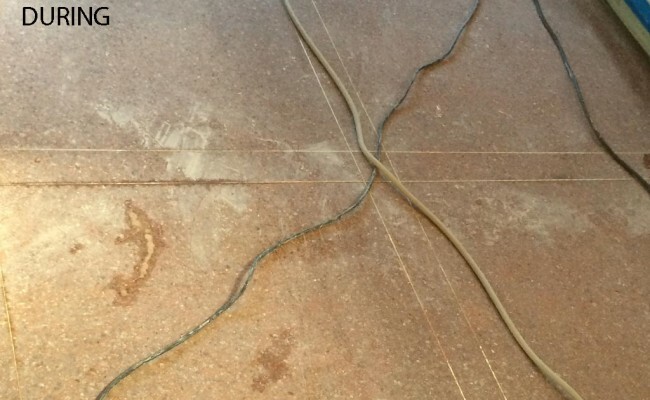 To learn more about terrazzo restoration, visit our Terrazzo Services page. 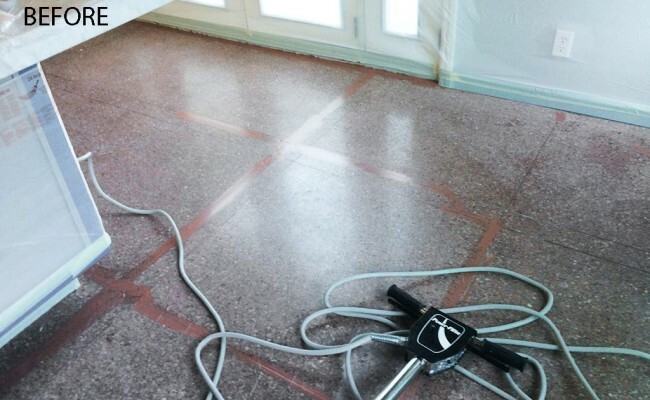 For terrazzo floor polishing or other natural stone restoration services, contact us online or call (925) 625-9625. We service Lafayette, CA, as well as the Alameda and Contra Costa County areas.